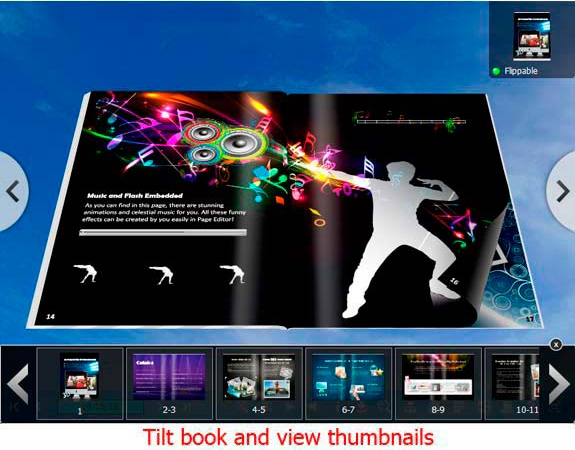 You've long admired that beautiful page-flipping animation that's popping up online and in e-books. You'd love to implement it in your own work, but you don't have any programming expertise, nor do you have the budget to hire someone that does. But wait! There's a new solution to achieve page-flipping animation, and it's incredibly accessible! It's today's discount software promotion, 3D PageFlip Professional! 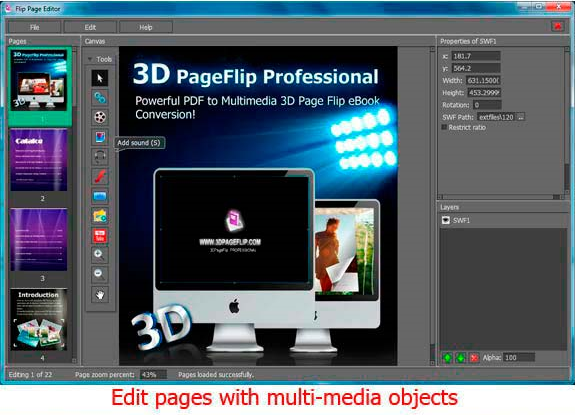 3D PageFlip Professional lets you convert PDF files into realistic 3D page flipping books. 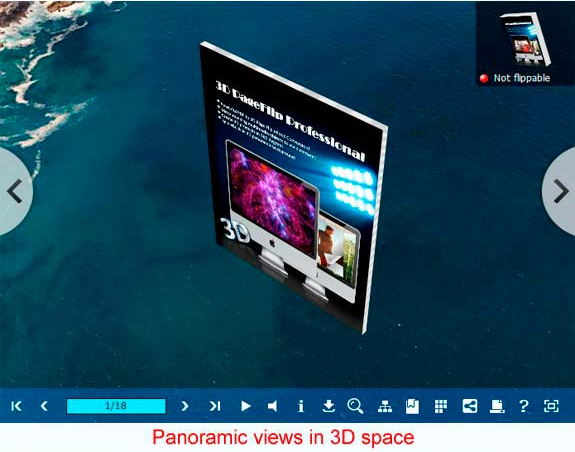 With 3D PageFlip Professional, you'll be able to drag your eBook to rotate and spin it, implement 3D spinning pop-up objects, and watch videos in 3D space! There's support for Flash animation, video, and photo slideshows. 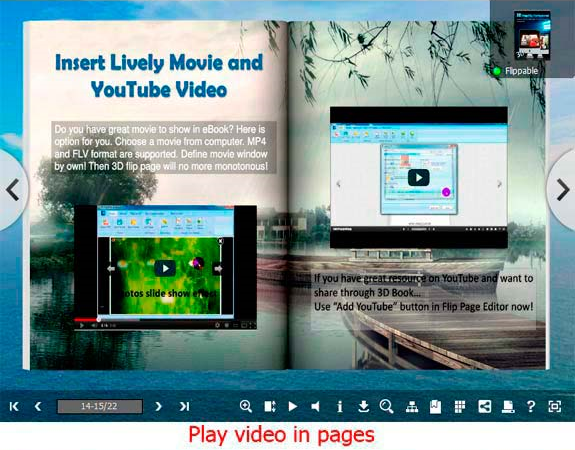 And distribution is a dream with 3D PageFlip Professional, thanks to the ability to publish your works as HTML, EXE, and ZIP archive format, or for popular platforms such as iPhone, iPad, Android, and ePub. As impressive as the results are, it's easy to get up and running quickly with 3D PageFlip Professional. 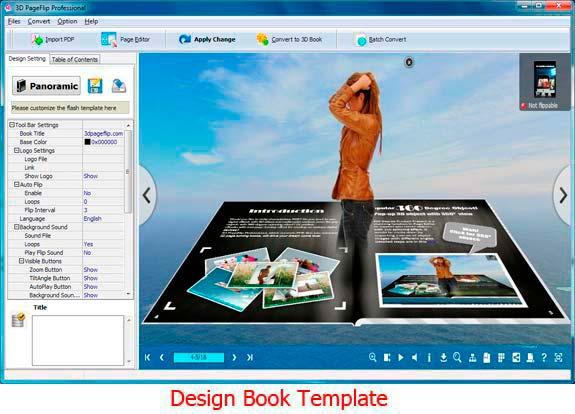 Just start with one of the included 2D and 3D templates for eBooks, then customize to your heart's desire. Play around with different book thicknesses and book tilt angles. Add links, pictures, and sounds. You can even add YouTube content! 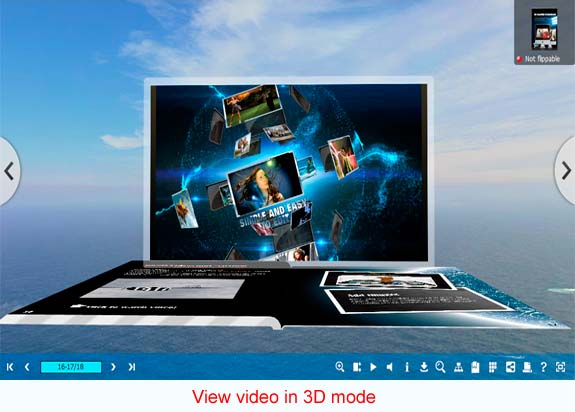 After you purchase 3D PageFlip Professional it may be used indefinitely. 3D PageFlip Professional is licensed per computer, and not per user. I downloaded the trial for mac. I've converted and exported a pdf to test it. I set the destination as my documents folder. The pageflip file is there, but my entire documents folder has been wiped, everything else that was in it appears to have been deleted! The documents folder icon now shows a double image. Does that mean my old content can still be accessed somehow, and if so, how? Scott Van Leeuwen All I want is some software to import photos and turn the software book like a digital photo album. This is think is over the top. Not your faalt of course. I just cant find anything decent. user123 I wonder why this type of software is so high-priced. Why other types of software last years have reasonable prices (in general), but not pageflippers?.. William Zheng @ Anton vd Berg, you can click "Order now" to enter into the order form to get the discount price. Anton vd Berg Done, but still full price $299,- when I pay with paypal. Constantin Florea @Angel User, I've just contacted the vendor regarding your questions. It say $209 but when i go to buy, it becomes £219, WOW nearly twice the price !!! Wearsie Jackson This one really puzzle me. Respectfully, I'm afraid that I don't see why anyone would want to spend hundreds of dollars to do this? Actually, I am not sure why anyone would want to have their PDFs viewable as page animation at all? Sorry, am very confused as to the need for this software. BDJ usually has very useful stuff but this seems to miss the mark by a long shot. Noggin The Nog What exactly is the difference between 2D and 3D in this context? In other words, in what way is it 3 dimensional? Mark User I've bought the Windows version. It works perfectly on my PC with Windows 10. It's quite simple for using. Your one-hour weekly playbook for successful results! This manifesto will help you raise and sharpen your self-awareness with seven key strategies that all leaders use, regardless of their industry.